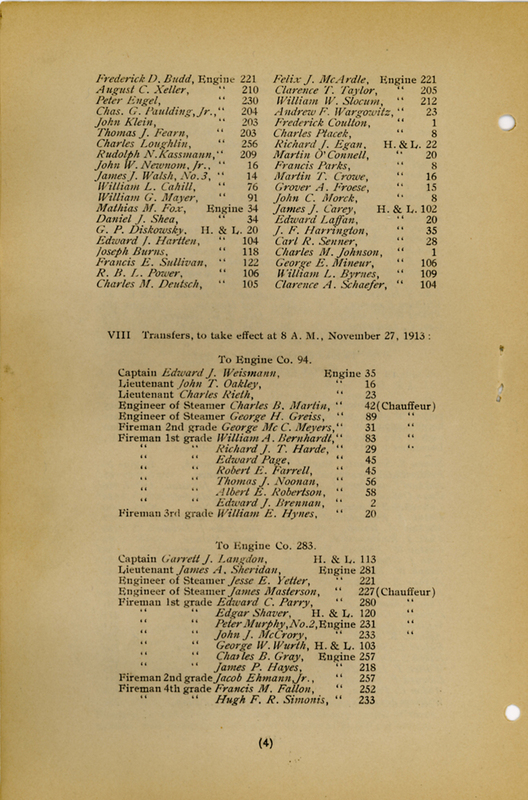 listed are the fourteen names from the original Dept. 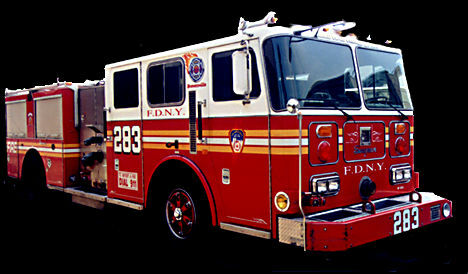 order of E-283. 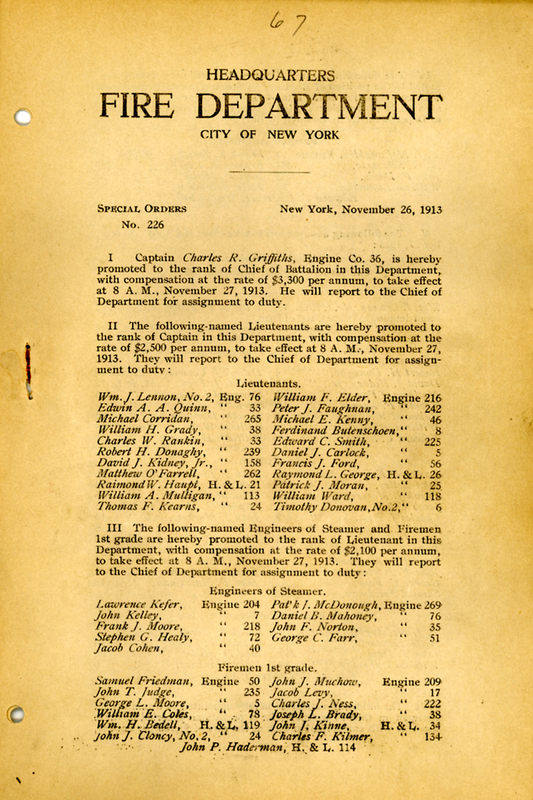 Department order when the Company was first formed Nov. 26 1913. 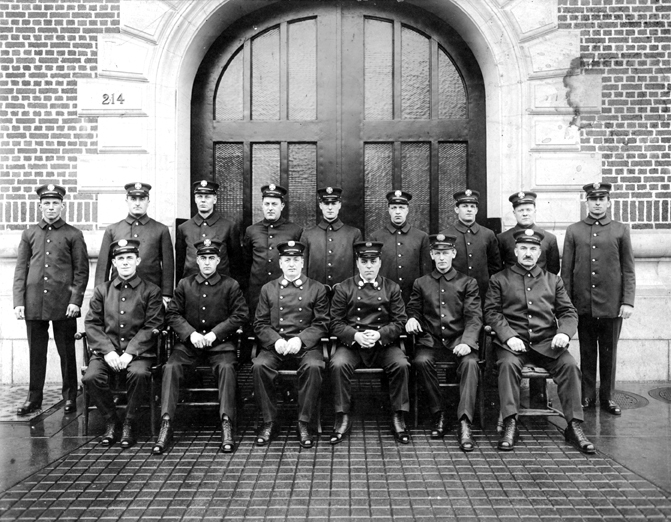 The names of the first 14 members to form the Company. 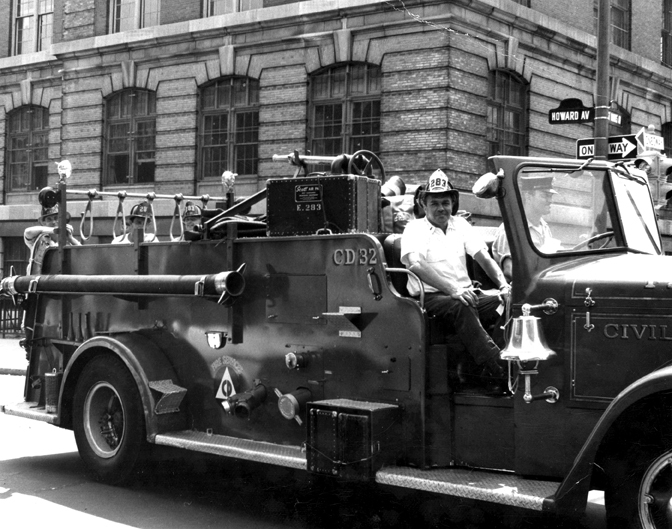 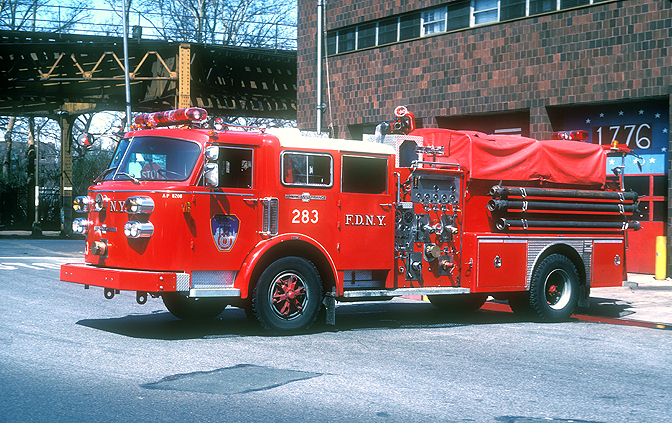 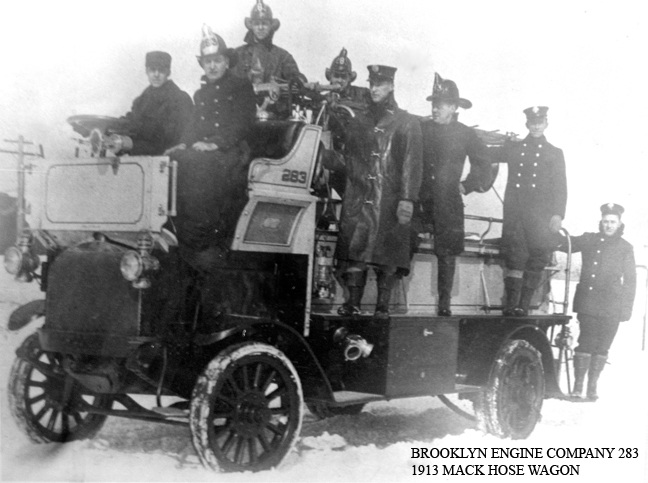 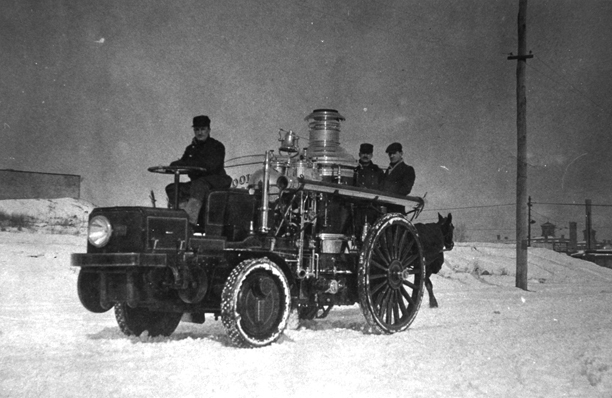 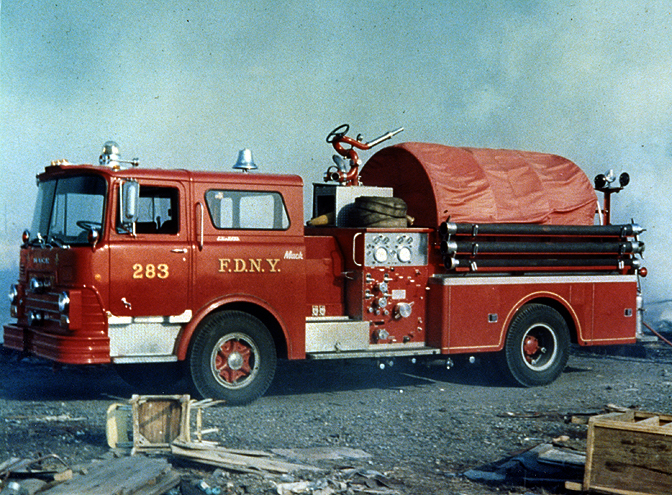 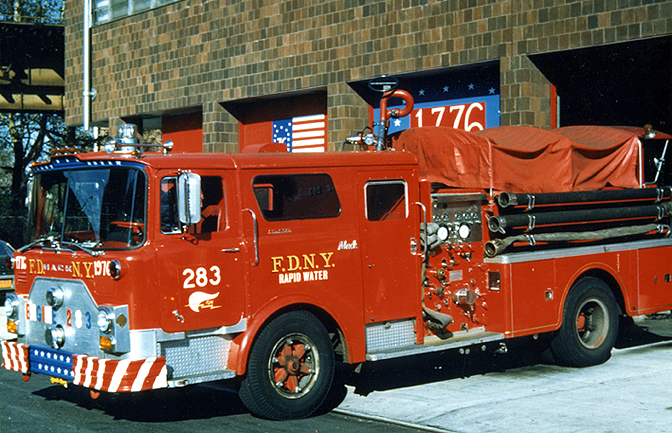 Engine Company 283's temporary spare Civil Defense Pumper.